SafeBox Neo is designed with automated content management in mind. 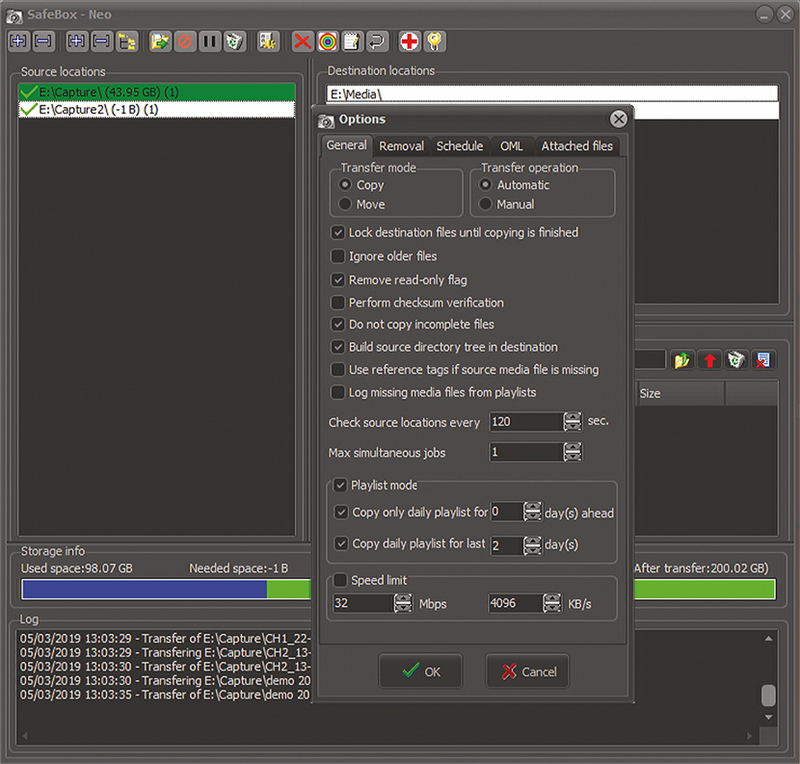 Its main purpose is to replicate remote content to local playout server folders for safe playback. 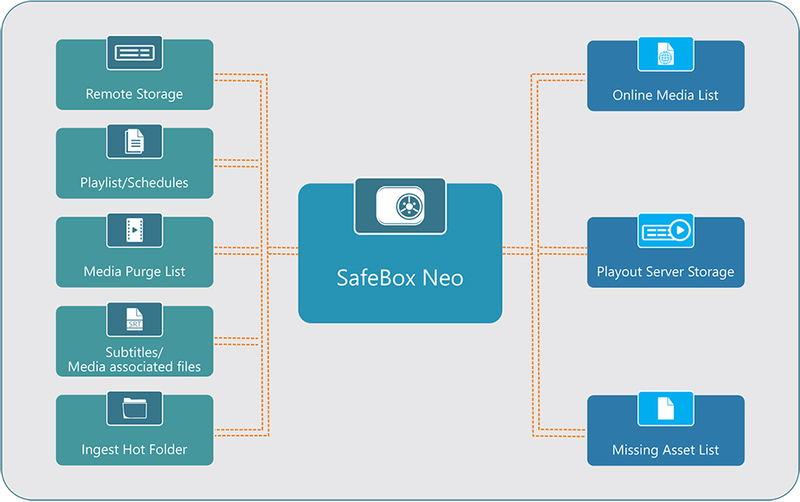 SafeBox Neo is designed with automated content management in mind. Simple to use, yet efficient, its main purpose is to replicate remote media content, playlist, CG templates, subtitle list and metadata files to local playout server folders for safe playback or manipulations. SafeBox Neo can work in playlist-dependent or stand-alone mode and has integration with Channel In a Box and Cloud2TV. In stand-alone mode, SafeBox Neo acts as a sophisticated transfer engine. Once new media content, playlists, CG templates, metadata and subtitle files arrive in any of the source watch-folders, it is automatically copied or moved to the local playout storage. Multiple tasks are processed simultaneously. In playlist-dependent mode all file operations are slaved to scheduled contents. New daily schedules are transferred along with their associated media/subtitle/metadata content. Expired daily schedule content is automatically deleted based on predefined rules or moved to a predefined folder for further manual deletion or archiving. Schedule option, allow you to set your bandwidth usage around a predefined Time schedule, maximizing your bandwidth when you need it, while the speed limit feature ensures moderate playout server network and storage load.